Since May 2011, Google has offered businesses the chance to have the interior of their business profiled by professional photographers, enabling customers to stroll through the location virtually. The service has expanded throughout the country since its inception; and is now available in Southwest Virginia. Potential clients contact the photographer directly; who will quickly provide a quote and schedule a photo shoot . Within a few days their images and photographic tour appears on Google Maps and Google Places. Bring your Virginia business to life with Google Street View Trusted technology and create a 360-degree “Inside” interactive tour. Showcase all the details that your customers love. Perfect for museums, art studios, restaurants, gyms, salons, and more! The finished product and images is an invitation to ‘See Inside’ and will appear in Google search results, Google Maps and the new, Google+ Local too. 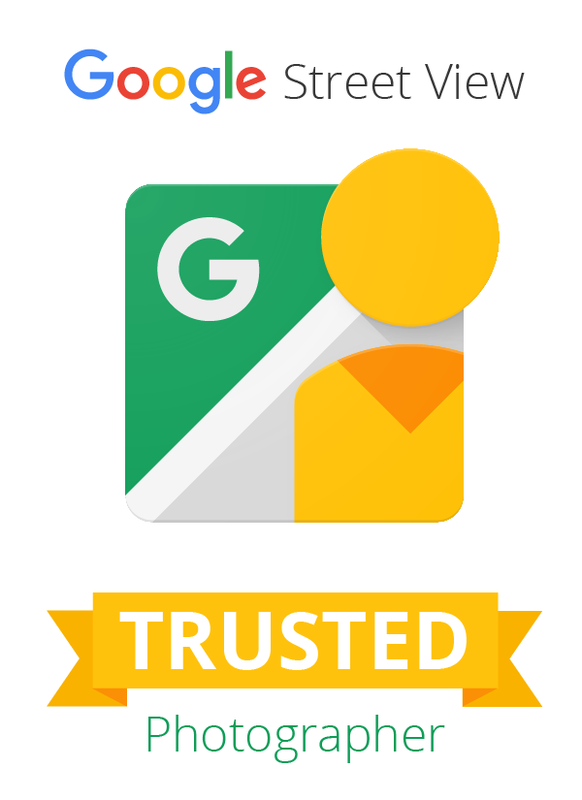 In addition your Google Street View Trusted Tour can be easily be embedded into your website. Allowing your on-line guests to tour your business without leaving your website. These search results will look more inviting, colorful and informative, allowing your customers to really engage with and explore your business via the interactive, ‘walk-through’ experience. Bring your business to life with Street View technology: As your Google Street View Trusted Photographer, I will create a 360-degree, interactive tour. Showcase all the details that your customers love. Perfect for museums, art studios, restaurants, retail shops, gyms, salons, and more! With Google Street View Trusted, customers can interact with your business in a fresh new way. Showcase your business and show your customers all the details they love! Google Street View are not only featured on your Google Places page, they are featured next to your search results and within Google Maps. Your imagery can also be easily embedded within your own website and shared on Social media! With a 360-degree interactive virtual tour hosted by Google, your business will grab attention like never before. Now customers can virtually walk through and look all around just like being there, all with Google’s familiar interface. Along with the virtual imagery creation, Google Street View includes capture a set of “feature” still photos. All image rights are owned by you. With Google Street View Trusted tours, your customers can walk around, explore, and interact with your business like never before. Customers will be able to truly experience your business – just like being there! Virtual Tours allow unlimited number of guests to have unrestricted visits to your business or facility 24 hours a day, 7 days a week. From anywhere in the world! A virtual tour differentiates your organization or destination from your competitors. A truly effective method of capturing your on-line guests attention and turning them into customers. Your images appear on Google searches, Google Maps, and Google Places, you can easily embed Google Street View Trusted on your own website, social media pages, and more! Today more then ever, you need to stand out from the crowd and make yourself heard! With stale telephone books and newspaper advertising slowly disappearing and being replaced with search engines, webpage, and social media. The bang for the buck you get with a Google Street View Trusted photo shoot will pay off in short order.